Two House Democrats are calling to abolish the U.S. Immigration and Customs Enforcement (ICE) agency in response to the Trump administration’s “zero-tolerance policy” cracking down on illegal immigration. “The heartless actions of this abused agency do not represent the values of our nation, and the U.S. must develop a more humane immigration system, one that treats every person with dignity and respect,” Pocan said in a statement introducing the legislation. Rep. Earl Blumenauer (D-OR) also called for abolishing ICE on Sunday, citing the agency’s policy of detaining migrant children. “We should abolish ICE and start over, focusing on our priorities to protect our families and our borders in a humane and thoughtful fashion,” Blumenauer wrote in a Medium post published Sunday. “Now is the time for immigration reform that ensures people are treated with compassion and respect. Not only because it is the moral thing to do, but it’s better policy and will cost less,” he continued. Blumenauer had long criticized the agency before its founding. In 2002, he voted against the creation of the agency under the Bush administration. 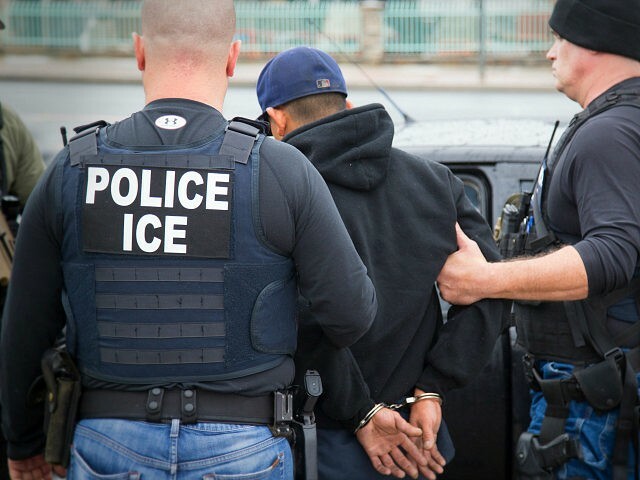 Although some Democratic lawmakers have always called for getting rid of the immigration agency, many calls to abolish ICE have come from a number of left-wing advocacy groups. In March, 350 pro-amnesty, pro-open borders groups called on Democratic senators to slash funding for the Department of Homeland Security (DHS) in the 2018 omnibus bill. Despite all the calls to abolish ICE over its separation of family units, the agency has taken steps as part of the “zero-tolerance” initiative to reunite families separated at the border. DHS announced that it “implemented an identification mechanism” to track families throughout their detention and removal proceedings. Currently, the agency has an online database of every adult in ICE custody. The agency said that it has taken steps to ensure migrant children housed in shelters run by the Department of Health and Human Services (HHS) stay in touch with their parents throughout their detention and removal proceedings, adding that it would also work with HHS to reunite migrant children with their parents before they are deported. DHS added that ICE would also work with foreign consulates to ensure both parents and children have the right travel documents at the time of their deportation from the United States.